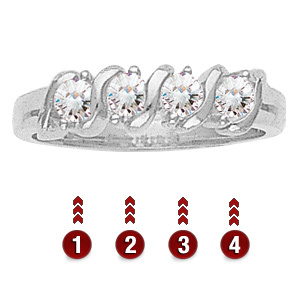 The sterling silver Rewards of Romance ring offers your choice of four 3mm round genuine gemstones. It measures about 4.5mm at the top center. Made in USA.